Please note that product images are enlarged to show detail. The actual item is 0.594 - (approx. 5/8 in.) inches long and 0.501 - (approx. 1/2 in.) inches wide. 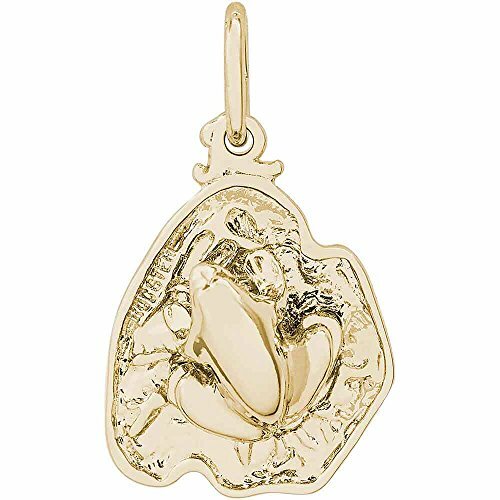 The Frog on Lily Pad Charm, 10K Yellow Gold is hand-polished with a High Polish finish. The charm shape is 3D. Every Rembrandt charm comes with a heavy-duty jump ring that can be twisted open and easily attached by you. All Rembrandt Charms are guaranteed for life. Experience the quality of Rembrandt Charms. 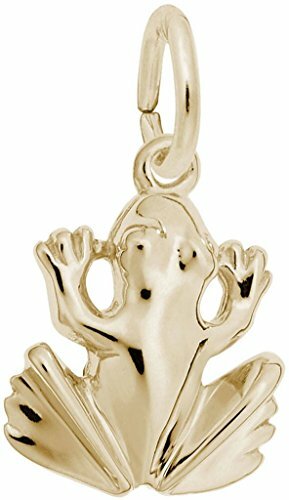 This Frog Charm In Sterling Silver is stamped with the metal quality mark and RQC trademark. All Rembrandt products have a Lifetime guaranteed. Sterling silver charms are plated with rhodium, a precious metal in the platinum family, which is used over our sterling silver to prevent corrosion or tarnishing. Please note the images above are enlarged to show detail. The charm is 21.77 MM long x 17.82 MM wide, it's handcrafted, made to perfectly fit your charm bracelet and will be great add-on to any charm collection. Please note that product images are enlarged to show detail. The actual item is 0.625 - (approx. 5/8 in.) inches long and 0.459 - (approx. 1/2 in.) inches wide. 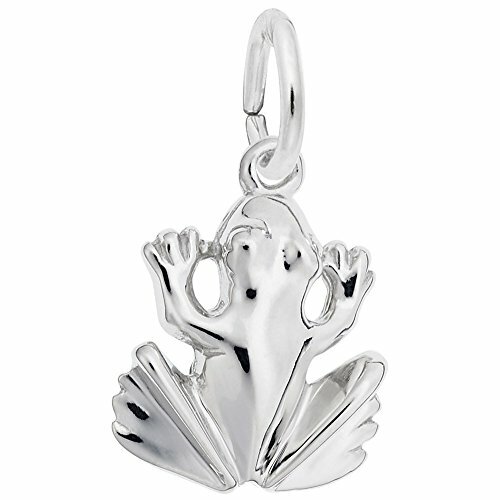 The Frog Charm, 14K White Gold is hand-polished with a Satin finish. The charm shape is Flat Back. Every Rembrandt charm comes with a heavy-duty jump ring that can be twisted open and easily attached by you. All Rembrandt Charms are guaranteed for life. Please note that product images are enlarged to show detail. The actual item is 0.625 - (approx. 5/8 in.) inches long and 0.459 - (approx. 1/2 in.) inches wide. 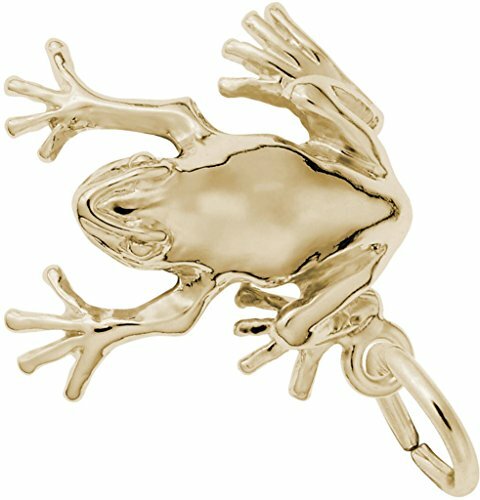 The Frog Charm, 10K Yellow Gold is hand-polished with a High Polish finish. The charm shape is Flat Back. Every Rembrandt charm comes with a heavy-duty jump ring that can be twisted open and easily attached by you. All Rembrandt Charms are guaranteed for life. Tree Frog Charm by Rembrandt. Gold Plated Sterling Silver. Please note that product images are enlarged to show detail. The actual item is 0.925 - (approx. 7/8 in.) inches long and 0.611 - (approx. 5/8 in.) inches wide. 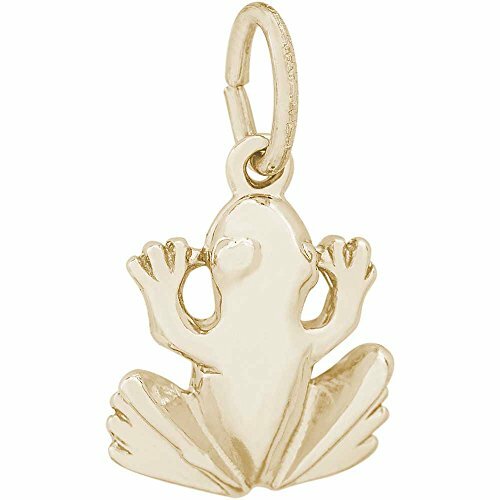 The Frog Charm, 10K Yellow Gold is hand-polished with a High Polish finish. The charm shape is 3D - Hollow Back. Every Rembrandt charm comes with a heavy-duty jump ring that can be twisted open and easily attached by you. All Rembrandt Charms are guaranteed for life. Please note that product images are enlarged to show detail. The actual item is 0.459 - (approx. 1/2 in.) inches long and 0.438 - (approx. 1/2 in.) inches wide. 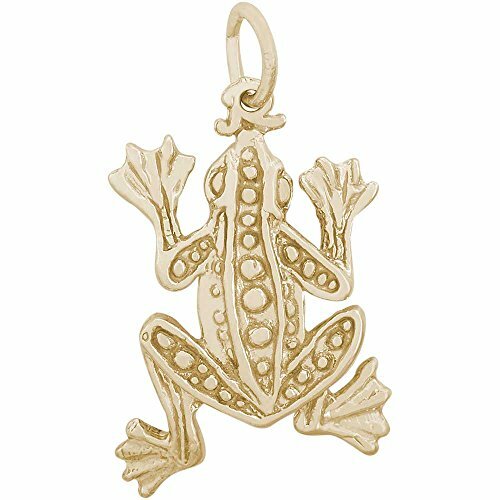 The Frog Charm, 10K Yellow Gold is hand-polished with a High Polish finish. The charm shape is 3D - Hollow Back. Every Rembrandt charm comes with a heavy-duty jump ring that can be twisted open and easily attached by you. All Rembrandt Charms are guaranteed for life. Please note that product images are enlarged to show detail. The actual item is 0.857 - (approx. 7/8 in.) inches long and 0.702 - (approx. 3/4 in.) inches wide. 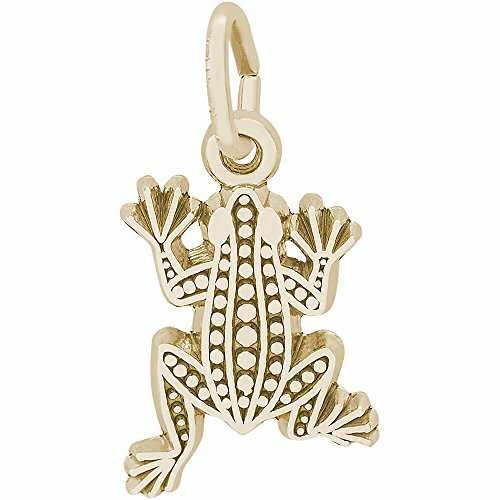 The Frog Charm, 10K Yellow Gold is hand-polished with a High Polish finish. The charm shape is 3D - Solid. Every Rembrandt charm comes with a heavy-duty jump ring that can be twisted open and easily attached by you. All Rembrandt Charms are guaranteed for life. Experience the quality of Rembrandt Charms. 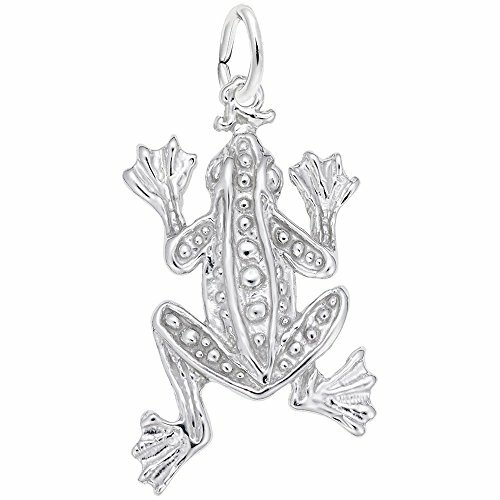 This Frog Charm In 14k White Gold is stamped with the metal quality mark and RQC trademark. All Rembrandt products have a Lifetime guaranteed. Please note the images above are enlarged to show detail. The charm is 11.66 MM long x 11.12 MM wide, it's handcrafted, made to perfectly fit your charm bracelet and will be great add-on to any charm collection. Frog Charm by Rembrandt. 14K Yellow Gold. 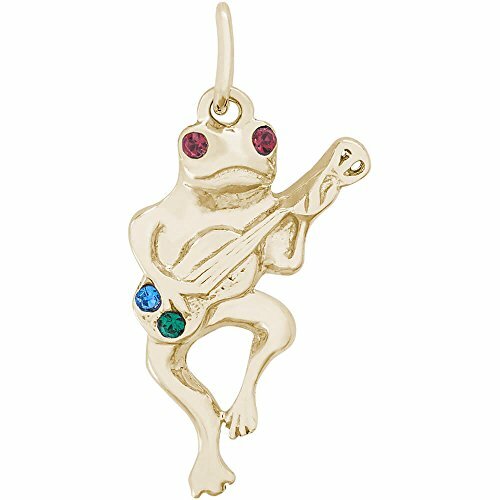 Copyright © Wholesalion.com 2019 - The Best Prices On Rembrandt Frog Charm Online.